When asked Thursday night about what they want to do with the U.S. Immigration and Customs Enforcement agency, the three candidates for Florida’s 9th Congressional District had a wide range of opinions. Either keep it as is, reform it, or throw it out. 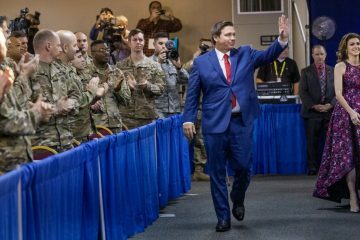 Speaking at one of four debates at the packed Political Salsa hobnob in Orlando, Republican Wayne Liebnitzky defended the embattled federal immigration enforcement agency, its work and officers as necessary and law enforcement doing the best they could with what they have. 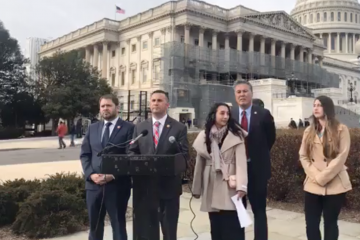 “I believe the solution is to reform ICE,” said Soto. “The reason that ICE is the way it is is that there aren’t laws that are preventing them from doing the things that they do. That’s why we need a Democratic majority in back in Congress, to make family separation illegal, to make zero-tolerance illegal. 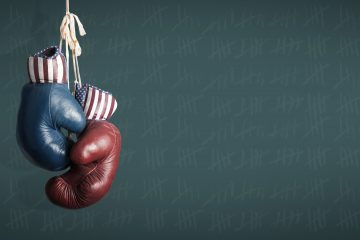 Their sparring over ICE was one of the few moments of genuine disagreement in debates between Orange County congressional, mayoral, and sheriff’s candidates. 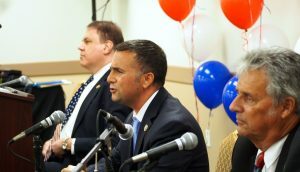 The discussions took place during an event where scores of candidates — including Republican U.S. Senate candidate Gov. Rick Scott and Democratic gubernatorial candidates Tallahassee Mayor Andrew Gillum and former Miami Beach Mayor Philip Levine — worked the floors at Acacia, a gathering point for the area’s Puerto Rican community. 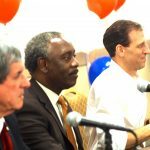 The debates did not bring any of the go-for-the-throat moments seen at earlier debates, particularly between Soto and Grayson, and between Orange County mayoral candidates Sheriff Jerry Demings, Commissioner Pete Clarke, and businessman Rob Panepinto. Nor were there many moments of new revelation, 11 days before the Aug. 28 elections. Panepinto had one of the few notable moments to shine when the mayoral candidates answered questions on specifics about what they would do to address Orange County’s affordable housing crisis. Panepinto declared the county no longer can wait for (or count on) state help, then laid out details of his $20 million-a-year, seven-point plan for the county to promote affordable housing. Demings and Clarke mostly called on the state to do its job, giving generalized answers about looking for possible zoning and permit-processing reforms. Orlando Police Chief John Mina and retired Florida Highway Patrol Chief Joe Lopez, both running for Orange County Sheriff, mostly agreed on many items ranging from their opposition to the sheriff’s office ever actively enforcing federal immigration law, to their commitments to reduce violence against and by law enforcement officers. But they split squarely on their views of red-light cameras. 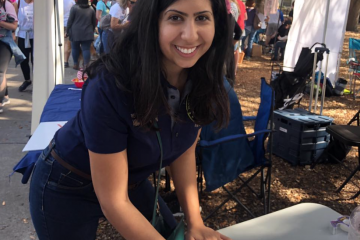 “I would be in favor of it, as long as the system is run properly and there are many, many checks and balances, and the person has the opportunity to go before a hearing officer and in front of traffic court to fight a red light traffic ticket, which we do in the city of Orlando,” Mina said. “Very simple: no! I do not support them,” Lopez offered. “I don’t think it works. I think it creates problems,” he said citing studies indicating they increase rear-end traffic accidents. “It’s a cash cow, that’s all it is,” he added. Republican U.S. Rep. Mike Miller shared the debate dais with progressive Democratic challenger Chardo Richardson, as incumbent Democratic U.S. Rep. Stephanie Murphy and Republican candidates Scott Sturgill and Vennia Francois skipped the event, even though it was held in their district. The pair were far enough apart that they offered grace and respect to one another, Richardson expressing appreciation for Miller’s service in Tallahassee, and Miller for Richardson’s service in the U.S. Marines, a veteran of the wars in Iraq and Afghanistan. Scott made a late, brief appearance, mostly meeting with a few people in crowded hallways. 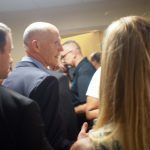 The Governor left shortly after being confronted in a corridor by Central Florida progressive political activist and former congressional candidate Susannah Randolph. He was ushered toward the stairwell while she tried to demand an answer on one of her questions. On the other hand, Scott’s opponent, Democratic U.S. Sen. (and Orlando resident) Bill Nelson, was a no-show. 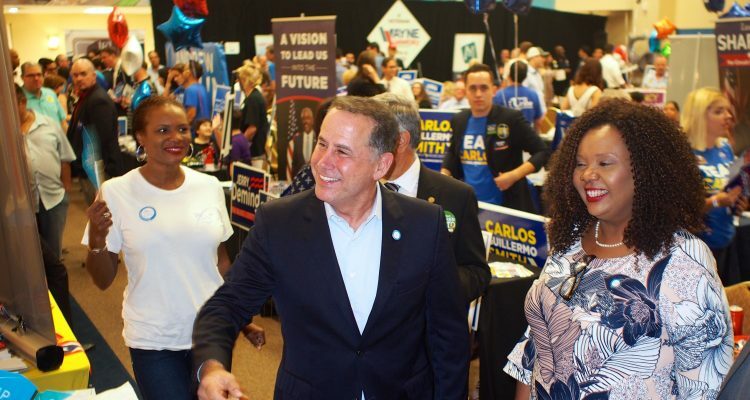 Levine and Gillum worked the floor of the main room, filled with hundreds of people and scores of candidates for county, state, and federal races packed the auditorium. Political Salsa was sponsored primarily by the Suarez Group of Cos. and the Puerto Rico Bar Association of Florida, drawing a sizable Hispanic attendance. The Soto-Grayson-Liebnitzky debate stayed civil, a dramatic departure from previous CD 9 debates where Soto and Grayson trashed each other’s records and called each other names, all but drawing actual blood. The closest to personal attacks came when Liebnitzky chided the two Democrats for talking so much about their records. They were coming off sounding like their only concerns were themselves, not the district and its residents, he said. Neither Soto nor Grayson took his bait.